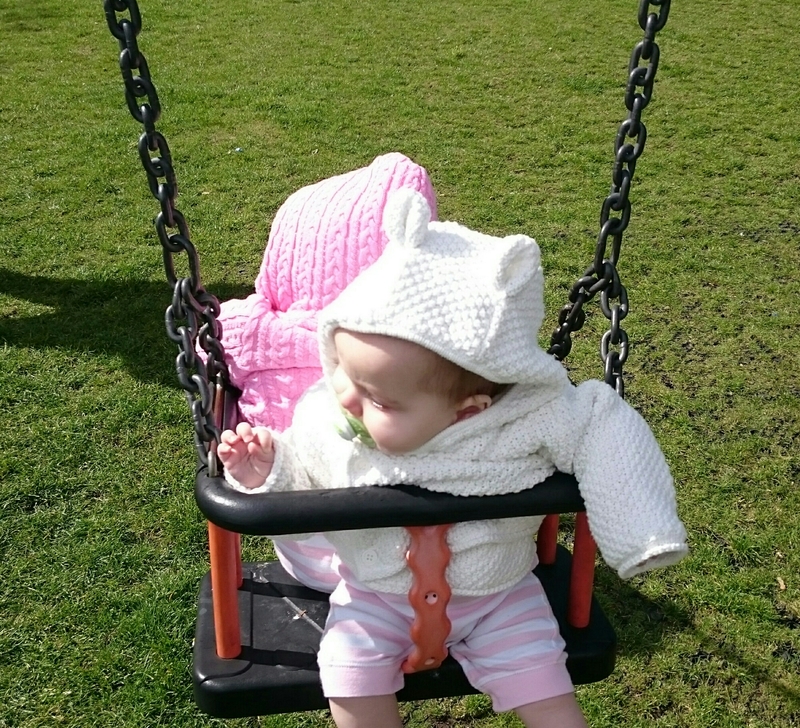 It’s not very often that we manage to make it to the park and the babies are still awake. Today was a first and this was the result. Twin swinging! Perfectly held in place so they can’t flop backwards and not separated from each other. They loved it. Can’t wait for more fun in the sunshine this summer.